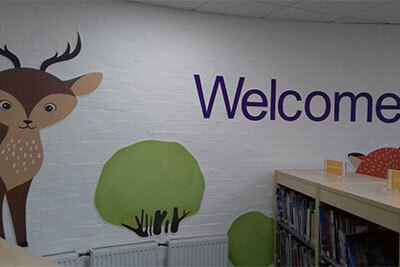 The borough’s libraries continue to provide high levels of satisfaction to our residents according to the latest CIPFA Public Libraries User Survey. The survey, published this month, shows 94 per cent of users found the borough’s libraries to be either ‘good’ or ‘very good’. The people of Ham were particularly happy with their library, with almost three quarters of them being satisfied with the library. Library users are enjoying the greater choice on offer in Richmond upon Thames, with 82 per cent satisfied with book choice up from 78 per cent in 2015. In fact, last year, Richmond libraries lent a total of 1,033,173 books, the equivalent of five library books per person - making our residents the most well read in London. People also approve of the information they can get from their libraries with 84 per cent indicating they were happy with what’s on offer – up from 82 per cent in 2015. And customer care across all our libraries continues to impress with 98 per cent satisfaction, up from 96 per cent in 2015. “Clearly the people of this borough still love their libraries! And, with friendly staff, a huge array of new books, digital resources, information and events on offer, it’s easy to see why.